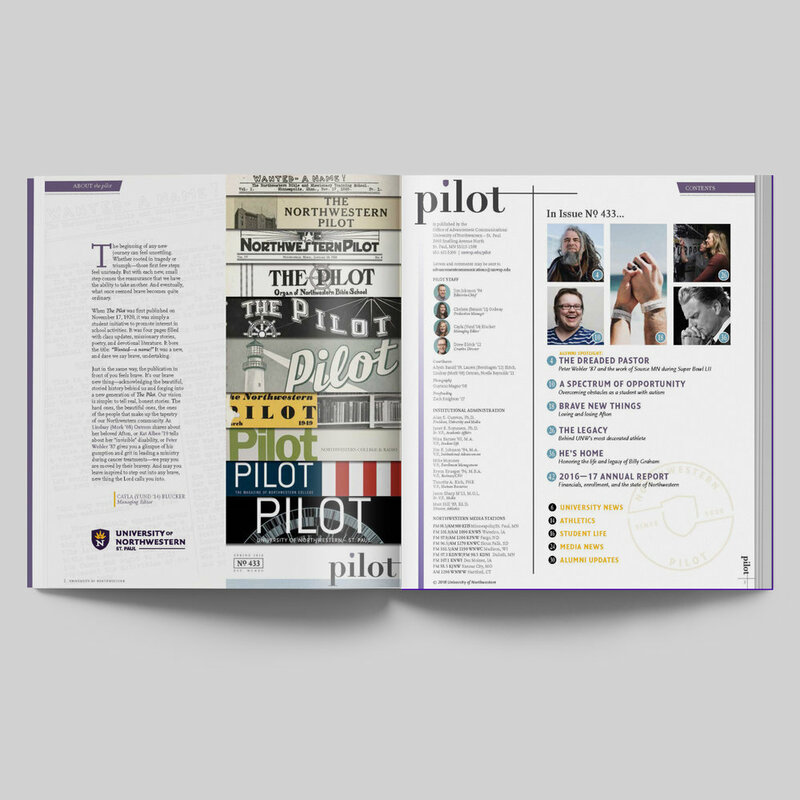 Northwestern's alumni publication, Pilot, has been a fixture of the institution since 1920. For 2018, we wanted to breathe new life into the magazine to engage new audiences and energize our alumni, parent, and donor communities. I led the creative direction and production of the magazine, with Cayla Blucker as managing editor and Guytano Magno providing photography. Printing was done by the First Impression Group. 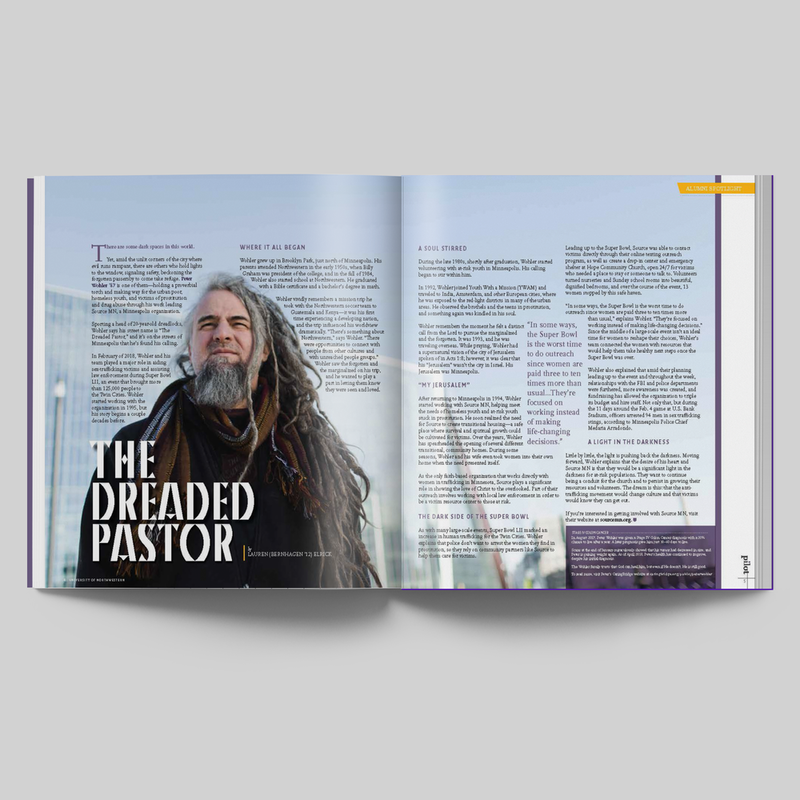 Pilot is a 44-page magazine with a distribution of 27,000.